Most people have an idea about what they believe life to have been like in Tudor England: brutal, misogynistic, profoundly bound by religion and overwhelmingly white. In terms of racial diversity we have Shakespeare's Othello and his mysterious 'dark lady' but little else. 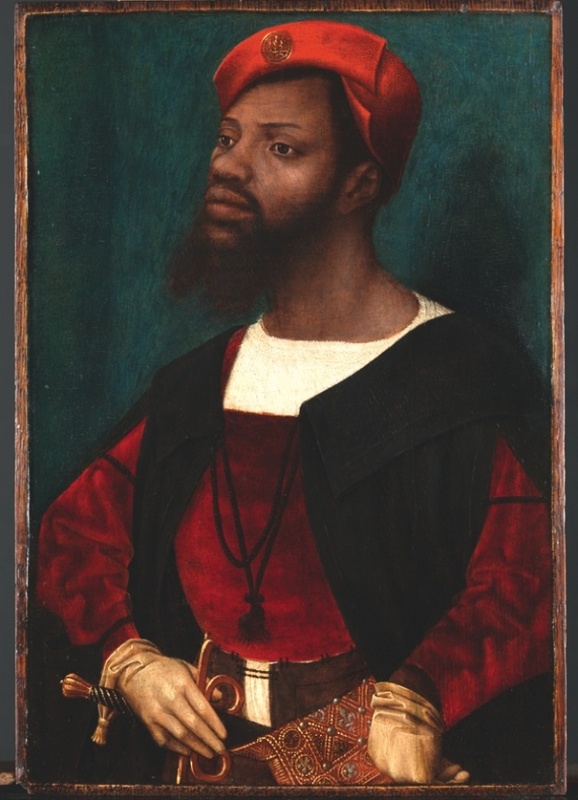 Like a half-finished painting, our knowledge of the past can only be partial and Dr Miranda Kaufmann's endeavour with Black Tudors has been to fill in some of those empty spaces. Through extensive and meticulous archival research she has uncovered evidence of numerous people of colour living not only in London but across the country during the early modern period. 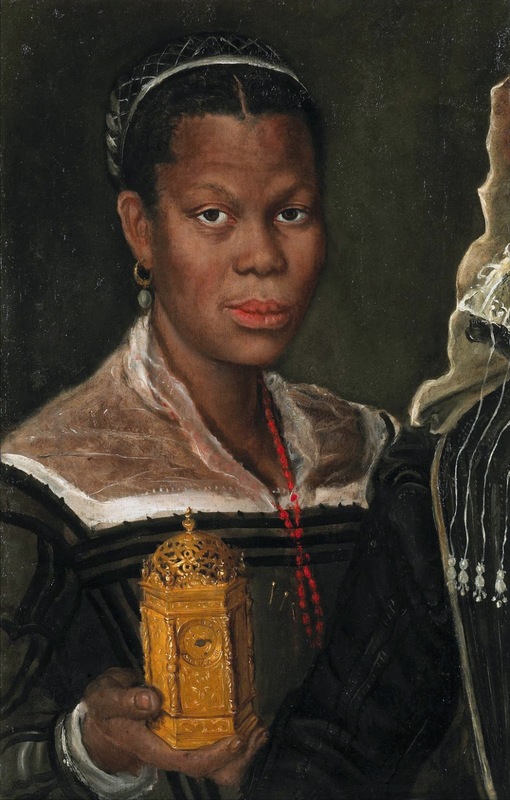 By focusing in on ten biographies she builds a vision of early-modern culture, exposing its attitudes to race. The assumption is often made, that anyone of African descent living in pre-nineteenth century England would have been a slave. But this belief is erroneous. 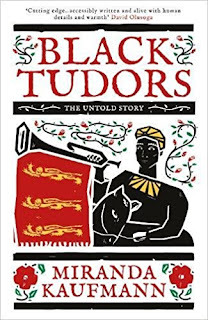 Kaufmann's book, not only demonstrates this but allows us a glimpse into the diversity of occupations held by black Tudors, how they came to be in England and the ways in which they were accepted as part of society. Slavery was more commonplace in southern Europe, where there was regular trade with Africa, and it is from Italy, Portugal and Spain that most Africans arrived on English shores. Kaufmann charts some of these journeys, bringing them into vivid life. From John Blanke, who held the coveted position of trumpeter to Henry VII, and Catalina a woman in the entourage of Katherine of Aragon, who left Spain a slave but seems to have been granted her freedom shortly after her arrival in England, to Diego, who sailed the high seas with Sir Frances Drake and Cattelena, described as an 'independent singlewoman' living in Almondsbury, all these portraits force us to reassess our common preconceptions about race in the period and see people of colour as part of the ordinary fabric of early modern English society. Fiction is a means by which some of the gaps in history can be filled and the insights of this book will surely provide grist for the historical fiction mill. Certainly Catalina, as one of the few witnesses to Katherine of Aragon's wedding night with Prince Arthur, having to testify during the investigations into the validity of the Royal marriage during Henry VIII's 'great matter', would make a fascinating protagonist. I'm only sorry Kaufmann's book did not come in time for me to include Fortunatus, a servant of Robert Cecil, in my novel Watch the Lady, in which Cecil is one of my narrators. It is perhaps ironic that of all the contemporary fictional portrayals of Elizabethan England, it is only the BBC comedy Upstart Crow, a satirical portrait of Shakespeare which in no way seeks historical accuracy, that features an independent black character in its female innkeeper. Kaufmann's book is not only a fascinating and erudite exploration of race in Tudor England but also a vibrant, eminently readable and tender portrayal of individual lives. 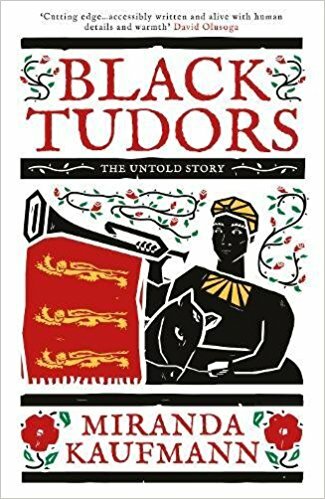 For anyone interested in the Tudor period Black Tudors is a must. There is a picture of a black woman in the 14th century illuminated MS Sarajevo Haggadah. In Geraldine Brooks's People Of The Book, she is the artist, who has slipped herself into the painting. This sounds like an interesting book. I may buy it in ebook as soon as I can remove a couple of books on my cyber shelves that I'm not reading - it's quite a large download, like many non fiction books!